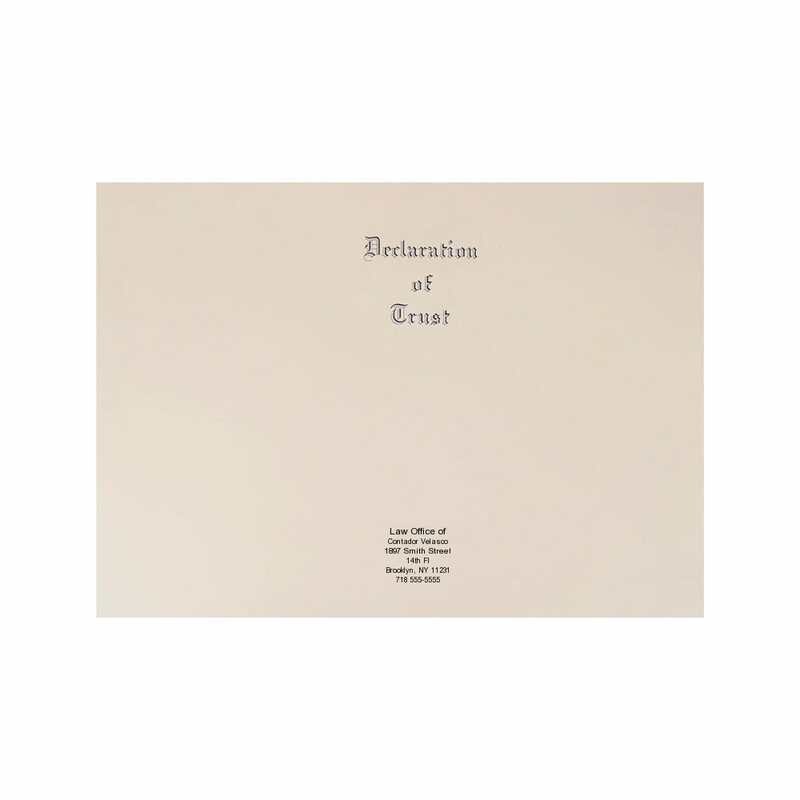 Our finest 100% cotton smooth-finish off-white, 32 lb. open-end envelopes and covers. 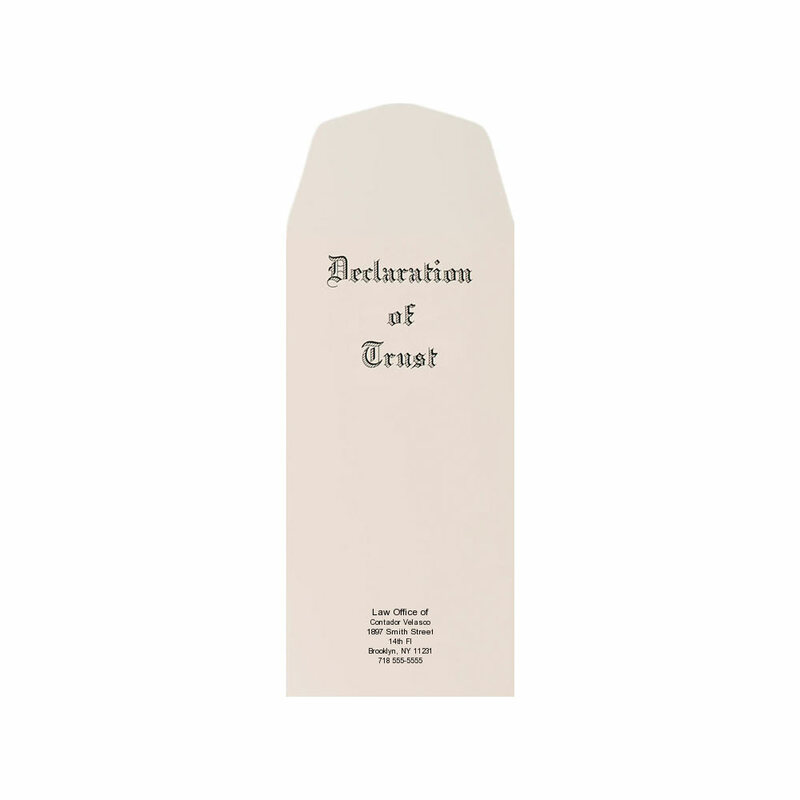 Genuine steel-die engraved "Declaration of Trust." 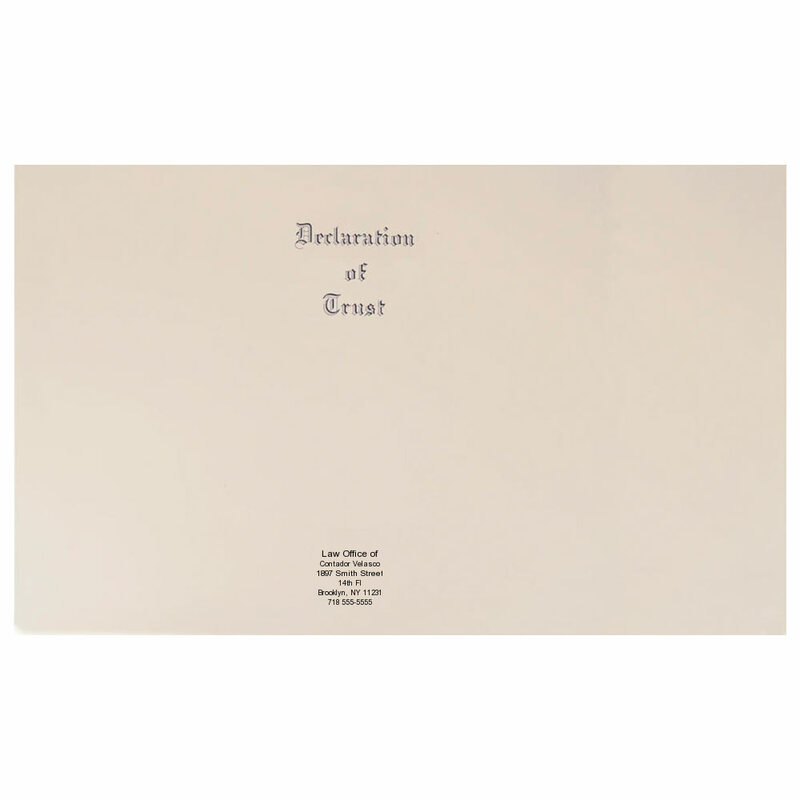 Order trust covers and envelopes without a custom imprint. Call for prices on large quantities, custom size labels and special colors. Your current QLP total is 0 items (@ $1.06 per item). The next QLP discount level is 200 items (@ $0.98 per item).